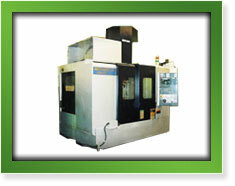 Starting in 1977, ProMold-Gauer has grown to become an industry leader in the manufacturing of custom designed plastic molds and dies for the plastics and rubber industries. Some of the industries we serve are the electrical, medical, automotive, aerospace, household products, commercial products and agricultural industries. Our goal is to establish long-term “vendor partnerships” with our customers and to continually build and strengthen those partnerships. 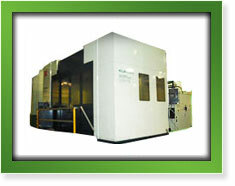 Throughout the entire manufacturing process, we want to not only meet but exceed our customer’s expectations. Throughout the years ProMold-Gauer has garnered a reputation for cutting-edge technology, old-fashioned values, and a commitment to our customers that is hard to find in the industry today. By implementing lean manufacturing along with lights out and unattended machining, we have advanced our plastic mold making capabilities to a level that is truly state-of-the-art. With all the resources in house from design and development, through complete manufacture, ProMold-Gauer has the ability to control the quality and the delivery of your product. Because of these resources and advancements, we are able to offer the accelerated deliveries and reduced pricing our customers have come to expect from an industry leader. To learn more about our company, we encourage you to look at the company we keep-you’ll discover that the reputations of our clients say a great deal about the level of quality you can come to expect from ProMold-Gauer Inc.
(2) Kuraki KBH16 – 12,000 RPM spindle; 7.8″ spindle size; X=78″, Y=59″, Z=51″, W=15″ travel; rotary table size 55″X 62″; 35.0 HP; cat 50 holders; 36-station tool changer; 700 PSI through the spindle flushing; 14300 lbs. table load. 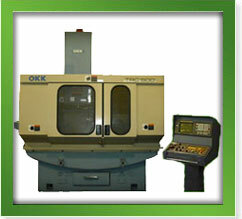 Kuraki KBT11WDX – 2,500 RPM spindle; 4.6″ spindle size; X=78″, Y=59″, Z=57″, W=19″ travel; rotary table size 55″X 62″; 35.0 HP; cat 50 holders; 40-station tool changer; 14300 lbs. table load. Kuraki KBT11W-A – 3,000 RPM spindle; 4.6″ spindle size; X=78″, Y=59″, Z=57″, W=15″ travel; rotary table size 55″X 62″; 35.0 HP; cat 50 holders; through the spindle flushing; 14300 lbs. table load. 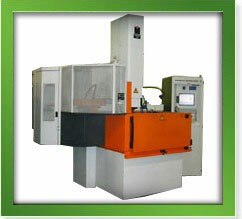 Mikron HSM 800 – High speed hard milling center; 42,000 RPM water cooled spindle; 1575 IPM cutting speed; X=31.5″, Y=23.6″, Z=19.2″ travel; ITNC 530 Heidenhain control; 18 station tool changer; Renishaw touch probe; Blum laser for tool qualification; 18.0 HP; HSK 40 holders; 2200lbs. table load; Programmable volumetric accuracy to .0002″. 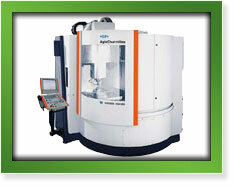 Mori Seiki SVD-503 – 25,000 RPM spindle; 1000 IPM; X=31.5″, Y=18.0″, Z=20.0″ travel; cat 50 holders. Okuma Howa Millac 852V – 6000 RPM spindle; X=80.0″, Y=33.5″, Z=29.5″ travel; Fanuc 16M control; 36-station tool changer; cat 50 holders; 5500 lbs. table load. Okuma Howa 8VS-NC – 2000RPM spindle; 100 IPM; Fanuc 0-M control; X=59″, Y=32.2″, Z=23.6″ travel; 25 HP; cat 50 holders; 5500 lbs. table load. Okuma Howa 5V-NC – 2500 RPM spindle; 100 IPM; Fanuc M control; X=39.0″, Y=22.0″, Z=21.0″ travel; 20 HP; cat 50 holders; 3300 lbs. table load. 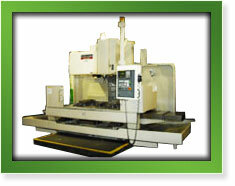 Bridgeport Series II Interact-2 Milling Machine – Heidenhein TNC-155 control; X=30″, Y=16″, Z=5″ travel; positioning accuracy of .0005. (2) Manual Bridgeport Vertical Mills – Power feed; digital read outs; dividing heads; arbors; rotary tables; rotary heads; sin tables. Charmilles Small Hole EDM – .01dia. to .19dia. size range; X=13.8″, Y=9.8″, Z=13.8″ travel, .0005 positioning accuracy. (2) Charmilles Robofill 400 – with Fastcut; X=12.5″, Y=17.5″, Z=17″ travel, up to 55 deg. Taper, .0001 tolerance. 1763 lb. weight capacity. imageCharmilles Robofill 310 – Programmable 5-Axis control; X=15.75″, Y=9.85″, Z=15.75″ travel, up to 30deg. Taper, .0001 Tolerance. Nardini Fast Trace VS – CNC lathe; 440MM turning Diameter; 1000MM turning length; CNC Fanuc Series 20-T control; 52MM spindle bore; 220MM center height; 900KG workpiece weight. 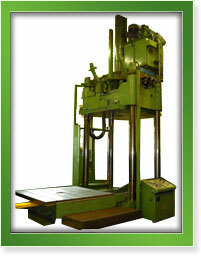 Clausing Colchester – height of centers 7.67″; swing over bed 15.75″; swing over cross slide 9.75″; spindle bore 2.125″; 10HP. South Bend Lathe – Swing over bed and saddle 10.125″; swing over cross slide 5.875″; distance between centers 30″; spindle bore 1.375″; cross slide travel 6.25″; spindle speeds 55-1400RPM. Spindle diameter 3.35″; spindle taper No. 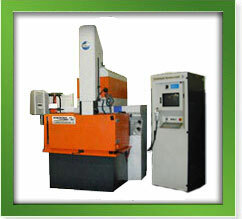 50; rotation of table 1.2RPM; spindle travel 19.5″; headstock travel 39.4″; longitudinal travel 31.5″; table size 35.4″ X 41.3″; max table load of 5,500; retrofit for gun drill cat 50 max gun drill unit; hole sizes from .125 diameter to 1.00 diameter, up to 60″ deep. (2) Okamoto – 6″ X 12″ manual surface grinder; SONY digital read out .0001 graduation. Grand Rapids 370 – Capacity 12″ X 24″; maximum under wheel 20″; maximum table travel 29.5″; maximum cross table travel 13.25″; automatic cross travel; incremental down feed; power spindle elevation; coolant; 5 HP spindle motor. Gallmeyer & Livingston 208 – Grinding capacity 8″ X 24″; maximum work height 12″; power longitudinal & cross table feeds; coolant; 2HP spindle motor.